This article was originally published June 23, 2014 by War on the Rocks. Today, the military is simultaneously confronted with declining budgets, skyrocketing system development costs, and a diverse spectrum of rapidly evolving, complex military threats. To mitigate this challenge, the Pentagon should place renewed emphasis on its corporate approach to technology innovation in order to identify and exploit opportunities to do more with less. The Better Buying Power initiative focuses on DoD’s innovation problem, but to be successful, such efforts must eschew traditional notions of defense system development. From iterative, design-based product development approaches to open, distributed ecosystems of partners and suppliers, the techniques employed by Silicon Valley and the most innovative sectors of the global high-tech economy should inform a new model of defense innovation that enables better, cheaper, and faster outcomes. Two examples from the initial phases of Operation Iraqi Freedom speak to this point. Less than two years after the Army’s 3rd Infantry Division kicked off the ground phase of the conflict, every piece of standard issue equipment furnished to deploying soldiers, from eyeglasses to underwear, had been substituted with high-tech gear optimized for the unique warfighting conditions in Iraq. The 3rd Infantry Division captured Baghdad with no unmanned aerial vehicles under its control and only a single UAV in support. By contrast, the forces that withdrew from Iraq in December 2011 redeployed with thousands of air and ground-based robotic platforms hosting an equally impressive array of tailored sensors and mission packages. Much of this re-equipping under fire was done without a coherent defense innovation strategy. It is a longstanding truism in military circles that no plan survives first contact with the enemy. Disappointments both major and minor with recent U.S. campaigns have only exacerbated this low expectation of planning, causing many to mischaracterize rapid technology innovation as a reactive byproduct of operational uncertainty that defies long-term thinking rather than a sustainable business model. acquisition enterprise that consisted of hundreds of ad hoc government organizations backed by legions of defense contractors quickly emerged. Crafting a corporate defense innovation strategy requires that DoD critically evaluate its rapid innovation experience from the past decade of conflict. Any reform should be assessed with an eye towards defining practical frameworks and business rules that can be promulgated across the entire defense enterprise. Augmenting these lessons with scalable and sustainable innovation techniques from commercial tech industry can provide a foundation that underwrites the full spectrum of defense capability development. The first step in this process is to assess examples of how Silicon Valley innovation techniques have been successfully internalized and analyze the relevance of such practices for broader scale adoption across DoD. The Constant Hawk program is one such example. In 2004, U.S.-led land forces in Iraq began to see early signs of the systemic and widespread use of improvised explosive devices targeting coalition operations throughout the country. IEDs were a cheap and deadly weapon that would ultimately account for over two-thirds of military deaths from hostile action in Iraq. By early 2005, U.S. military leadership realized that countering IEDs required a more comprehensive approach that targeted the networks underwriting their manufacture and supply. However, despite DoD’s commitment to invest hundreds of millions of dollars in this effort, the fact remained that the organic development of the needed capabilities—even leveraging new rapid acquisition authorities established by Congress—would take years. Unlike conventional warfighting scenarios, the counterinsurgency campaign in Iraq did not offer well-defined, fixed targets around which aerial surveillance assets could be deployed. To the extent that it was difficult to know when and where an attack might take place, surveillance aircraft were often ineffective at collecting actionable imagery using conventional narrow field-of-view camera systems. TOSA identified a wide-format camera system—used in such Hollywood blockbusters as Jurassic Park 2 and Terminator 3—as a candidate technology for providing enhanced overhead imagery support to operations. Based on inputs from the intelligence and military end-user communities, TOSA developed an operational concept for the wide-format camera in support of the counter-IED network characterization problem. This program, Constant Hawk, functioned as a kind of “TiVo in the Sky,” enabling analysts to replay attacks recorded in the imagery data and track the assailants back to their points of origin. Over time, such analyses began to reveal the logistics and supply networks underwriting the manufacture of IEDs, allowing coalition forces to disrupt these networks. The first Constant Hawk systems deployed to Iraq in mid-2006. The unique, synoptic imagery information furnished by these systems allowed operational commanders for the first time to quickly, accurately, and systematically identify the critical nodes in local IED networks, seriously degrading bomb-making activities in IED hotspots like Baghdad. Constant Hawk became one of the primary tools that led to the precipitous decline in IED incidents in 2007 and 2008. In addition to being named one of the Army’s greatest inventions in 2006, its success led to a number of successor programs like the Defense Advanced Research Projects Agency’s Autonomous Real-Time Ground Ubiquitous Surveillance Imaging System and the Air Force’s Gorgon Stare. The real innovation of Constant Hawk may have less to do with the technology than the commercial business practices that led to its development. Unlike the traditional, linear development approach favored by the Pentagon, Constant Hawk followed an emergent development path reminiscent of the techniques favored by commercial high-tech industry. While such a development model has not yet found fertile ground in the conventional Defense Acquisition System, it is nonetheless an approach that has consistently allowed Silicon Valley to set the pace for global technology innovation, enabling both the efficient use of capital and the development of successive generations of scalable product innovations at faster and faster rates. 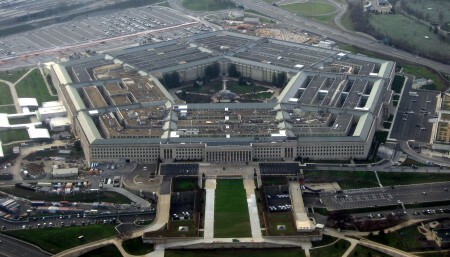 DoD’s future ability to effectively deal with a blinding array of complex military challenges, many of which are fueled by the commercial marketplace, requires the Pentagon to rethink its fundamental approach to innovation. The old calculus, where innovation output is largely organic and proportional to research and development expenditures, must be put aside in favor of a new model that recognizes the non-linear benefits of innovation practices that have found a home in the commercial tech base. In formulating a corporate defense innovation strategy, the prior efforts of the DoD “intrapreneurs” who have successfully translated such practices to the military context should serve as a lodestone in the development of a more comprehensive, scalable, and uniformly applied defense innovation platform. Along the same lines, emerging activities like DoD’s Technology Domain Awareness and the associated National Security Technology Accelerator initiatives, which seek to identify and amplify commercial product and process innovations susceptible to defense applications, should assume a more prominent role. the founder of Mav6 LLC, a defense technology company. Stephen Rodriguez has nearly thirteen years of operational experience from Afghanistan to Colombia in strategic planning, corporate strategy, and business development. Initiative’s Leadership Council, and a member of the Leadership Council at IAVA.